Whether you're moving or simply storing at your home or business, we cater the experience to your needs and timetable. We offer FREE Expedited Shipping to Rhode Island, Massachusetts, and Connecticut Customers on all of our Moving Supplies! Conlon Containers provides these awesome Go Mini’s packing supplies kits that are designed to help make packing up your Go Mini’s mobile storage container even easier. Choose from three different kits, which range from 20 boxes in the Economy Kit to 30 boxes in the Deluxe Kit or 40 boxes in the Supreme Container Kit featured here. All of the boxes and moving supplies that you need to make the most out of your Conlon Containers Go Mini’s moving and storage experience will be delivered to your door. 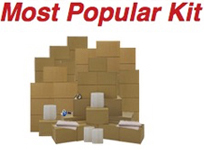 CONTACT US for more information about our packing supplies kits! This is the perfect packing option for the do-it-yourself mover. Using moving blankets can help to protect your belongings when loading and storing your things inside a Conlon Containers Go Mini’s portable storage container. Our moving blankets are actually top quality double lock-stitched quilts that are made from a very durable non-woven fabric. They feature a thick liner batting and four finished square corners. 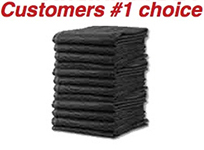 CONTACT US for more information about our moving blankets! Our lifting strips are a pair of heavy woven nylon straps that are designed to reduce back injuries due to heavy and repetitive lifting. Great for large items like appliances and heavy furniture, lifting straps use the age-old technology of leverage to help make the item that is being carried seem like it is up to 66 percent lighter than it actually is. This helps movers to go up or down stairs, make turns around tight corners or to place the heavy item inside the Conlon Containers Go Mini’s mobile storage container. CONTACT US for more information about our lifting straps! Pair these durable rubber mover bands with our high quality moving blankets to easily secure them around furniture for even more protection while moving and storing your things. Great for tables, cushioned chairs, paintings, dressers and even televisions. Rubber mover bands can also be used to hold dresser drawers closed while in transit via your portable storage container. Our rubber bands are designed to stretch to twice their length and are used by professional movers instead of moving tape to prevent damage to expensive furniture. CONTACT US for more information about rubber mover bands! Conlon Container provides you with even more tools and options that can be used to protect your items from shifting inside of your Go Mini’s portable storage container. Our tie down rope and durable disc locks are excellent for temporary or long-term storage. Our popular ratchet tie down straps can be one of the most important moving supplies for packing and securing your items inside of your storage container. CONTACT US for more information about tie downs and locks!